A one-month free trial of Snapshot’s Analytics Pro will be offered to Hotelhero’s customers, enabling access to Snapshot’s signature analytics dashboard that allows a clearer view of your hotel’s PMS and performance data, Google Analytics, social media, and more. Additionally, the Analytics Pro bundle includes SnapShot’s most popular applications: On Demand Reporting, OTA Commission Tracking, Forecast and Budget, and Pick Up Pro. Hotelhero users can also benefit from the SnapShot Marketplace ecosystem for additional pre-integrated applications and tools to further customize their software stack and better run day-to-day hotel operations. The Marketplace platform gives hoteliers the option to select tools to meet their property’s specific needs and use the insights to enhance their businesses. Created by hoteliers for hoteliers, Hotelhero supports independent establishments and small chains in their digital transformation. Hotelhero assists in finding digital solutions best suited to the unique characteristics of their establishment. Additionally, Hotelhero offers personal assistance to make sure that the typically tedious selection process becomes smooth and seamless. The vision of this platform is to increase and facilitate the adoption of technology in the industry and to push innovation helping hoteliers to reduce costs, increase revenues and meet the ever-changing guest expectation. Visit www.hotelhero.tech for more information. Founded in 2012 with the vision to build hospitality's premier data platform independent of any brand or software provider, SnapShot is now one of the largest hospitality data processors in the world, managing transactional data of over 6,000 independent and branded hotels worldwide, with over 45 different connected PMS systems, and growing. 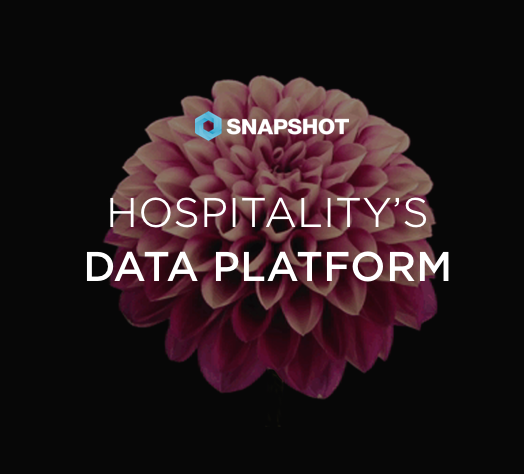 With the release of the Hospitality Data Platform, SnapShot enters its third phase, which brings forward its founding vision: a secure data platform, visualization capabilities, and marketplace. The SnapShot Marketplace offers a wide range of applications from Snapshot and third-party developers. These include comprehensive hotel data analytics, easy-to-use budget control tools and a user-centric hotel communication/messaging service. Acting as a hub for application developers needing to access and work with hotel data for applications and hotels needing secure, integrated applications, SnapShot is a unique resource in the industry, allowing a fast and efficient access to technology for hotels, and a rapid and secure access to hotel data for developers. To find out more, visit www.snapshot.travel.